Teaser Tuesdays hosted by MizB of Should Be Reading, where bloggers post two (2) random “teaser” sentences--no spoilers allowed--to try to entice others to seek out these books. 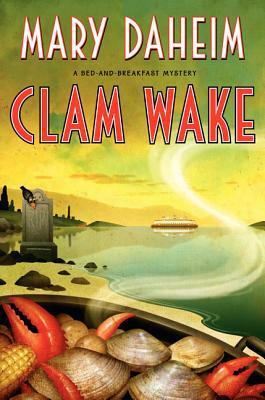 Today I'm featuring the opening paragraphs and a teaser from Clam Wake by Mary Daheim, a novel in the Bed-and-Breakfast cozy mystery series that I am reading for an upcoming blog tour. The cover evokes strong summer feelings for me, although the story is set in winter-time . . .
Judith McMonigle Flynn stared at the mail on the credenza, glared at the thick packet's return address, and squared her broad shoulders before marching out of the front hall to confront her husband in the kitchen. "It's here, Joe," she announced. "Come and get it." 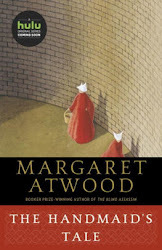 What are you reading now or planning to read soon? First Chapter ~ First Paragraph #73 and Teaser Tuesdays was originally published by Catherine for bookclublibrarian.com. This post cannot be republished without attribution.